Correction March 13, 2012 3:27 PM PST: The injunction's start date is April 8, 2012 and Kaleidescape has filed an appeal with the court, thus a mandatory stay goes into effect which allows the company to continue to sell their products for now. Media server company, Kaleidescape, was just whacked by an injunction in a California court that leaves the company potentially unable to sell their products - effective immediately. Judge William J. Monihan ruled the injunction based on an action filed by the DVD Copy Control Association (DVD CCA) who claimed that Kaleidescape's servers allow DVD playback without the physical disc to be present. 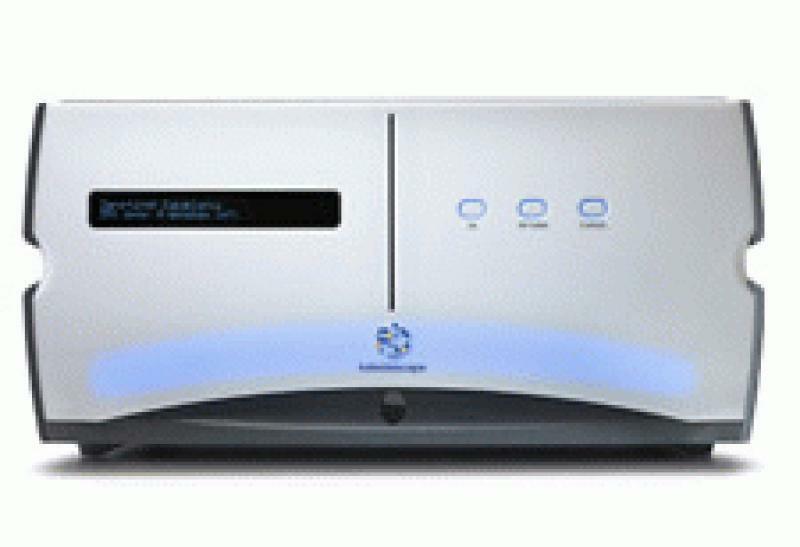 Ironically, Kaleidescape's latest Blu-ray capable product necessitates that the physical disc be loaded into the servers "vault" before it will play back the HD content through the media servers. With DVDs, a Kaleidescape can rip a movie once (think: Netflix rental) and have the movie on their system forever although that clearly violates the Kaleidescape user agreement by the owner. 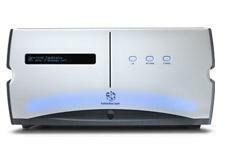 To learn more about what the current Kaleidescape system can do - read the full Kaleidescape M Series Blu-ray player review from HomeTheaterReview.com. • See more media server news from HomeTheaterReview.com. • Learn about related stories in our Industry Trade News section. Warning signs have been blinking bright red for Kaleidescape in this battle with the DVD CCA but both Kaleidescape and their dealers stayed on path. In a report at CEPro.com, Kaleidescape's founder, Michael Malcolm, said he was "shocked" and vowed to fight this ruling. However, this decision comes after appeal of the original loss by Kaleidescape. Additional appeals can take more than a year or two. Seemingly, Kaleidescape was trying to come up with a work around to overcome the DVD "vault" issue but many bridges had been burnt in this dispute thus leaving the company in the situation that they are in now. Since 2004 Kaleidescape has been battling with Hollywood over the way their server rips and stores content. Some suggest that big electronics companies are trying to force Kaleidescape out of business because of jealousy. Others in the custom installation business think that the DVD CCA is taking out Hollywood's frustration with Asian piracy of their intellectual property on the highest end customers through Kaleidescape. Others think that the, sometimes caustic, personalities of Kaleidescape's executive team have made the battle with Hollywood and technology personal with the DVD CCA wanting Kaleidescape out of business. The entire history of the suit is covered here at Wikipedia. According to the company, existing Kaleidescape owners will be able to rip discs, use their systems, update their meta data and get hardware and other support as needed even if the company can not sell new systems because of the injunction. This saves both Kaleidescape and their dealers thousands of potential lawsuits by Kaleidescape media server owners. For more than a decade Kaleidescape has been a game changing video product for the home theater and custom installation business. Blu-ray disc players now deliver reference level performance at $500 to $1,000 per component including streaming movies, Blu-ray performance and more. However, Kaleidescape sells something even more high end in HD movies distributed into every room of a home. Kaleidescape's user interface is top notch with many comparisons drawn between it and Apple's lauded iTunes. Kaleidescape user support is about as good as it gets with tasks like adding high resolution screen art for projector-based large video displays, storing and managing music from CDs. Where Kaleidescape earns its biggest accolades is keeping tight control over the all-important meta data which resulted in a user experience that inspired well-heeled consumers to invest tens of thousands of dollars in Kaleidescape media servers over the past decade or so. Could Kaleidescape make their media servers require a physical disc in their "vault" component? Without question, they could do so and even using modified versions of their current hardware. Likely some re-engineered firmware and internal changes and Kaleidescape's media servers could end once and for all any concerns about "rent, rip and return" that Hollywood and the DVD CCA has. It's hard to argue that Kaleidescape's multi-millionaire clientele a) doesn't buy plenty of movies on DVD and or Blu-ray and b) that they don't respect IP by blatantly stealing all of their content. They are generally pretty upstanding citizens when it comes to intellectual property. The bigger question is has Kaleidescape burned enough bridges in this battle that the fight is about something more than ripping DVDs? If so, tough days are ahead for the company. Thankfully, the nearly 10,000 consumers who own Kaleidescape systems are seemingly not disenfranchised.